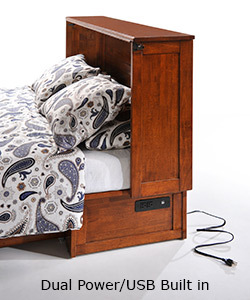 Enjoy this Murphy Clover Bed that only takes up 10 square feet of floor space when not in use. Good quality Murphy Bed in White finish. Only takes up 10 square feet of floor space when not in use. Premium Gel Memory Foam Mattress is Queen size. 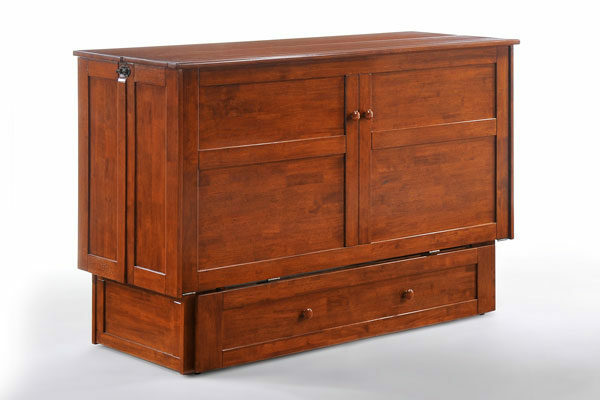 Comes with two sets of drawer knobs wood and metal. 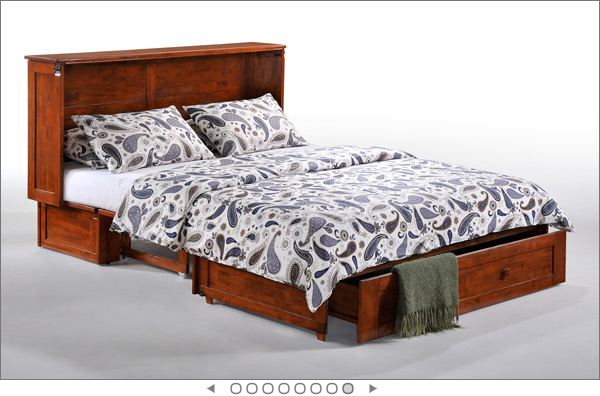 Some photos show the same bed but with Cherry color finish. 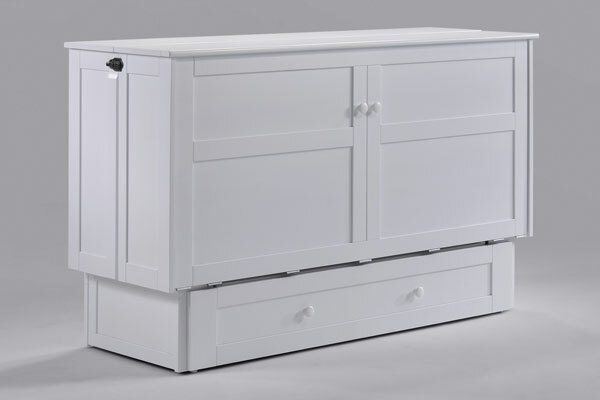 Price includes shipping and assembly to Chicago and direct suburbs.